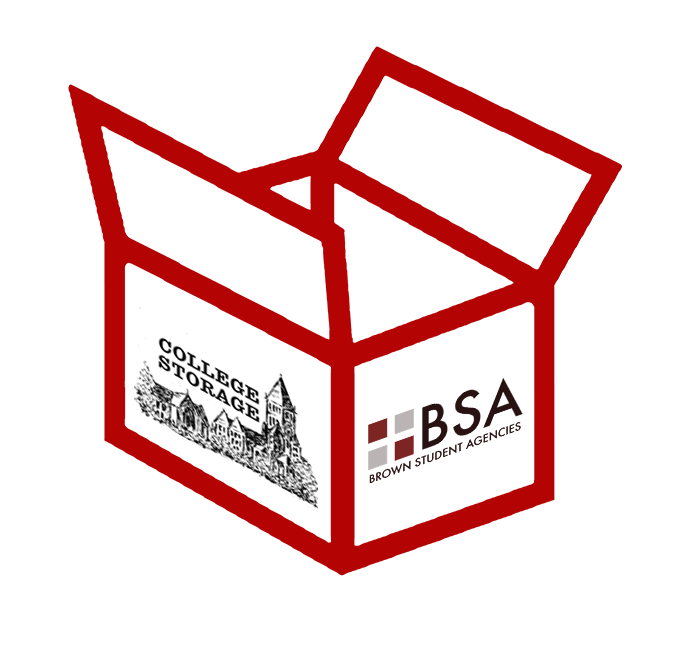 This summer, BSA is once again partnering with College Storage RI to make summer storage easy and affordable. With drop-off stations in various key spots around campus like the corners of Brown St. & Benevolent St. and Charlesfield St. & Thayer St., summer storage has never been more convenient at Brown. Our fees are tailored with students' budgets in mind so you won't have to break the bank over the safekeeping of your things! We want to make the summer storage process as simple and stress-free as possible. Follow the links above to read more about the program details including dates, storage options, and pricing. To sign up and reserve your space, just click on the button below! Sign Up & Reserve now! To help make this year's storage process even clearer, College Storage has prepared informational videos addressing key questions that students often have about the storage process, including how to sign up and the most efficient way to pack your things. These videos are easily accessible by visiting College Storage RI's YouTube channel. Check out the FAQ pdf if you don't see the answer to one of your questions on this site. If you requested that your items be delivered to your room and your room location changes at any point, you will be responsible for notifying us at least 72 hours in advance, by emailing info@collegestorageri.com AND bsa@brown.edu. We guarantee that your boxes will be moved to the new location within 48 hours of that update. Please note that there MAY be a fee associated with this service. Without this notice, we will have no way of knowing where your items are actually supposed to go. Brown Student Agencies is a student-run business that provides products and services to the Brown community.